Avalancha de nieve húmeda increíblemente grande. This past winter Nick McNutt was skiing in the North Cascades when he faced the most dangerous element of big mountain skiing, an avalanche. Fortunately the Canadian showcased not only his strength as a skier, but his ability to perform under pressure. Nick was able to point his skis and safely ski out of the avalanche. This was captured while he was filming for Teton Gravity Research’s new film “Tight Loose”. The full movie is available now for digital download and on DVD. The largest avalanche off the north face of Z1 in the Zanskar, seen from base camp. Thanks to the MEC expedition support program for funding this trip. Check out my instagram @tmaav for more photos from the expedition. Somme russian guys trigger an avalanche by a shot of canon in republic of Kabardino-Balkirie. Impressive video. 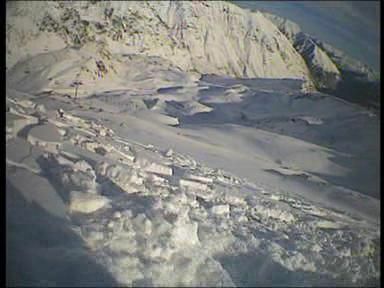 Spectaculaire avalanche de printemps !